At the beggining of the year, officials at RKTs Progress, the Soyuz rocket manufacturer, promised to fly 19 rockets from the Soyuz family, which would be two more than even during very busy 2015. 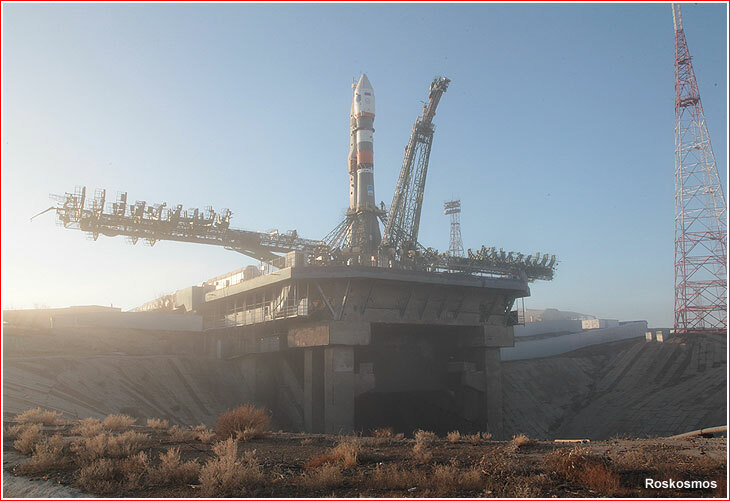 A Soyuz-2-1b rocket with the Resurs-P3 satellite sits on the launch pad in March. The first Soyuz rocket launch campaign of 2016 had a mission of replenishing the GLONASS navigation network. 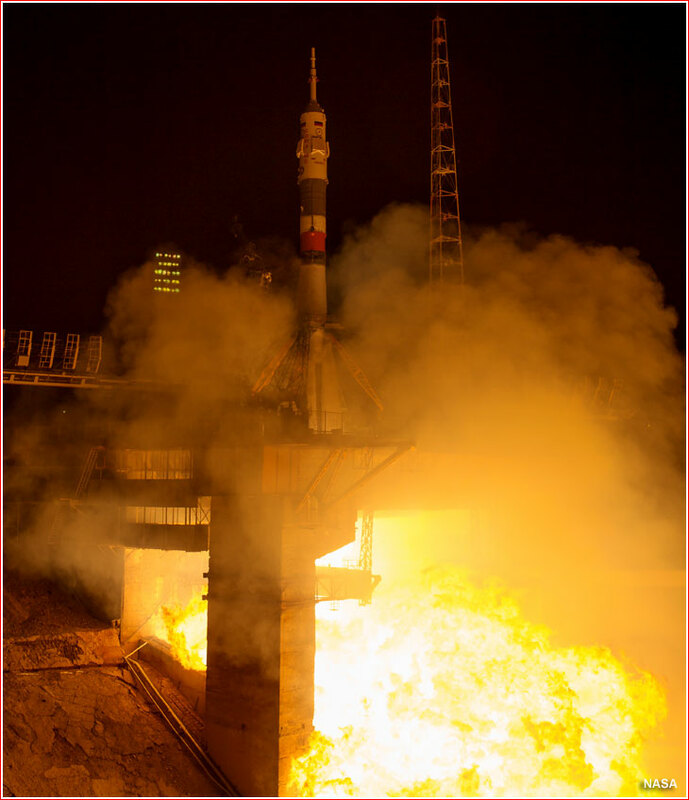 The Soyuz-2-1b rocket lifted off as scheduled from Pad 4 at Site 43 in Plesetsk on February 7, 2016, at 03:21 Moscow Time (7:21 p.m. EST on February 6), carrying the GLONASS-M-51 satellite. After a 24-hour delay, the Soyuz-2-1b rocket lifted off on March 13, 2016, at 21:56:00.333 Moscow Time (2:56 p.m. EDT) from Pad 6 at Site 31 in Baikonur. 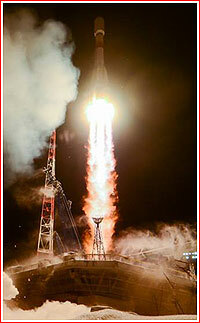 The rocket successfully delivered the Resurs-P3 satellite into a near-polar orbit. 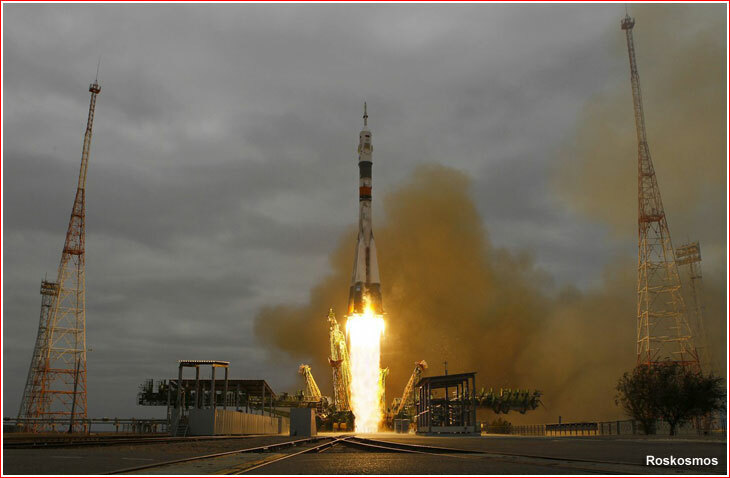 The launch of the Soyuz TMA-20M spacecraft took place as scheduled on March 19, 2016. A Soyuz-FG rocket lifted off from Pad 5 at Site 1 in Baikonur Cosmodrome at 00:26:38.355 Moscow Time (5:26 p.m. EDT or 09:26 GMT on March 18). According to the official Russian media, a Soyuz-2-1a rocket lifted off on March 24, 2016, at 12:42 Moscow Time (5:42 a.m. EDT) from Pad 4 at Site 43 in Plesetsk. Russian ground stations of the Titov Chief Test Space Center began tracking the vehicle at 12:45 Moscow Time, and the spacecraft (believed to be Bars-M No. 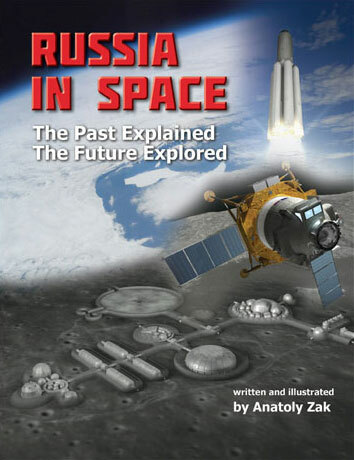 2) separated from the third stage of the launch vehicle as planned at 12:52 Moscow Time (5:52 a.m. EDT), a spokesman for the Russian Ministry of Defense said. A Soyuz-2-1a rocket carrying the Progress MS-02 cargo ship lifted off from Pad 6 at Site 31 in Baikonur on March 31, 2016, at 19:23:57.351 Moscow Time (12:23 p.m. EDT). After three on-pad scrubs, a Soyuz rocket successfully launched Europe's Sentinel-1B remote-sensing satellite on April 25, at 06:02:13 p.m. French Guiana Time, along with four secondary payloads: the French Space Agency's Microscope satellite and a trio of educational CubeSats for ESA. In the nomenclature of the Arianespace company, which managed the launch, the mission was known as VS-14, denoting the 14th launch of the Soyuz rocket from its facility in Kourou, French Guiana. 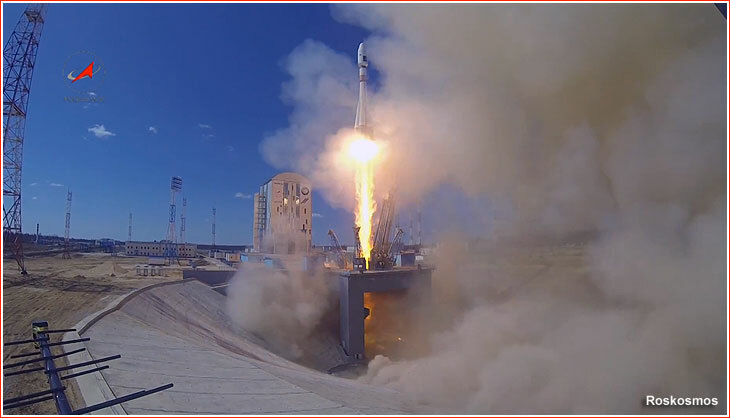 Inaugurating the new Russian spaceport of Vostochny in the country's Far East, a Soyuz-2-1a rocket modified for operations in Vostochny Cosmodrome, delivered a trio of satellites into the Earth's orbit, including the Mikhailo Lomonosov, Aist-2D and SamSat-218. 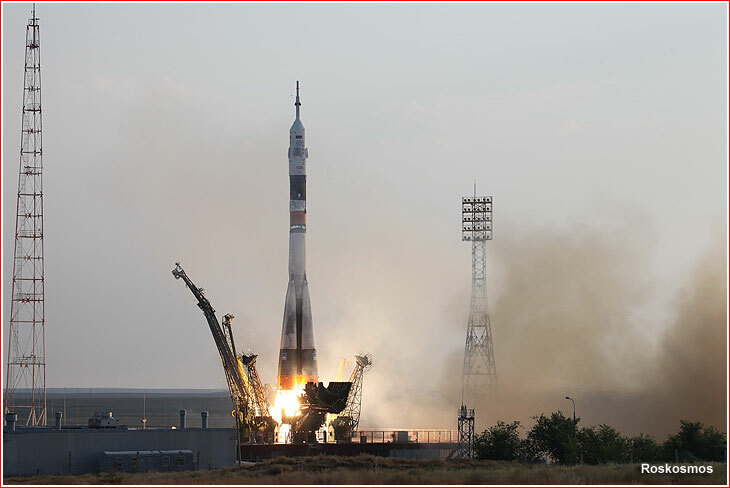 The historic liftoff marked the beginning of a gradual shift of Russian space activities from Baikonur Cosmodrome in Kazakhstan to the Russian territory. Lifting off from its tropical launch pad near Kourou, French Guiana, a Soyuz-ST-B rocket with a Fregat-MT upper stage successfully delivered a pair of Galileo Full Operational Constellation, FOC-M5, satellites on May 24, 2016. 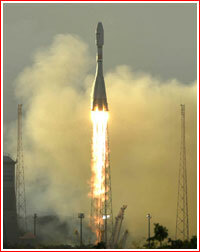 On May 29, a Soyuz-2-1b/Fregat-M lifted off from Pad 4 at Site 43 in Plesetsk carrying a GLONASS-M-53 (a.k.a. Uragan-M No. 753) navigation satellite for Russia's GLONASS navigation network. 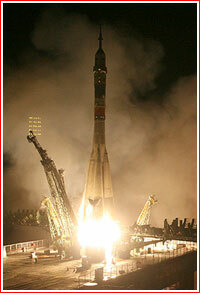 According to the official Russian media, the satellite was successfully released into its planned orbit. Within 24 hours after the launch, the TASS news agency reported that the RD-0124 engine on the third stage had shut down prematurely during the launch. Fortunately, the flight control system onboard the Fregat space tug detected the problem and compensated for the lack of performance of the third stage with an extended firing of the Fregat's own propulsion system, thus salvaging the mission. The liftoff of a Soyuz-FG rocket took place from Site 1 in Baikonur Cosmodrome in Kazakhstan at 04:36:40.208 Moscow Time (9:36 p.m. EDT on July 6). 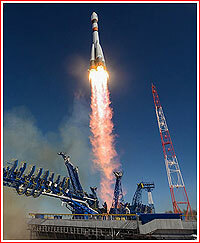 The launch vehicle carried the 7,220-kilogram Soyuz MS-01 (No. 731) spacecraft with a crew of three bound to the International Space Station, ISS. A Soyuz-U rocket carrying the 7,290-kilogram Progress MS-03 cargo ship lifted off from Pad 6 at Site 31 in Baikonur on July 17, 2016, at 00:41:46 Moscow Time (5:41 p.m. EDT on July 16). After a month-long delay, a Soyuz-FG rocket lifted off on Oct. 19, 2016, at 11:05:14.378 Moscow Time (4:05 a.m. EDT). The launch vehicle carried the 7,220-kilogram Soyuz MS-02 spacecraft with a crew of three bound to the International Space Station, ISS. A Soyuz-FG rocket lifted off on Nov. 17, 2016, at 23:20:13.099 Moscow Time from Pad No. 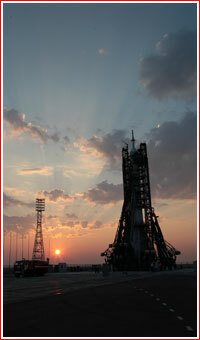 5 at Site 1 in Baikonur Cosmodrome. 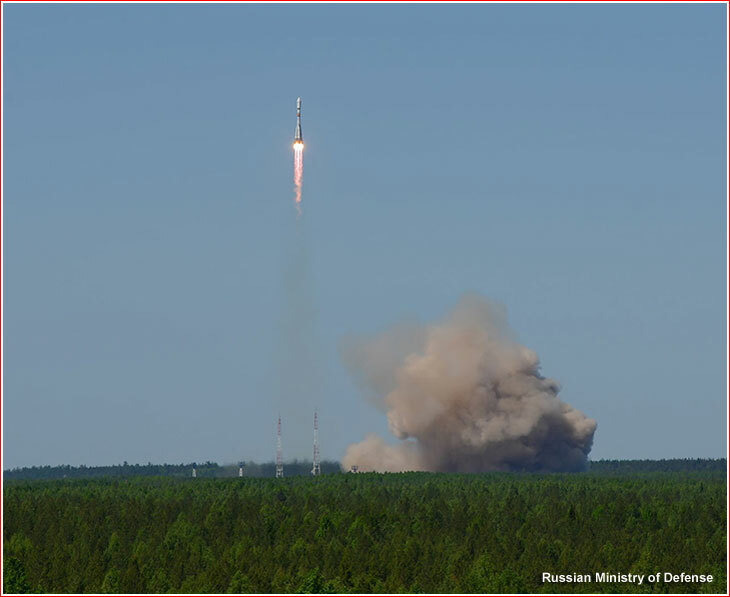 The launch vehicle successfully delivered the 7,220-kilogram Soyuz MS-03 (No. 733) transport spacecraft with a crew of three to the International Space Station, ISS. A Soyuz-U rocket with the Progress MS-04 cargo ship lifted off from Baikonur on Dec. 1, 2016, heading to the International Space Station, ISS. 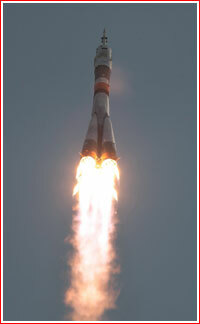 However six minutes into the flight, the telemetry stopped coming from the spacecraft during the powered flight of the third stage of the Soyuz-U launch vehicle. *Launch vehicle performed as planned, but payload failed to separate from upper stage; **Third stage underperformed during the launch; compensated by Fregat's extended firing.